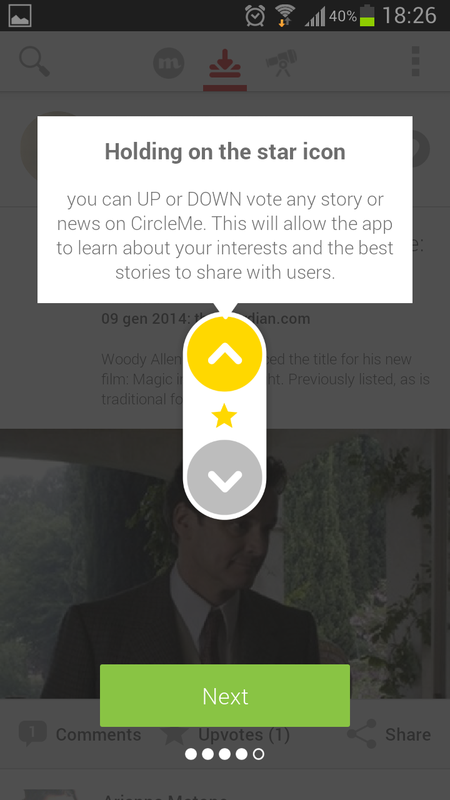 CircleMe Android app: new tutorial, new refresh, new share! We all know what CircleMe is about: CircleMe keeps you up to date with what you like! 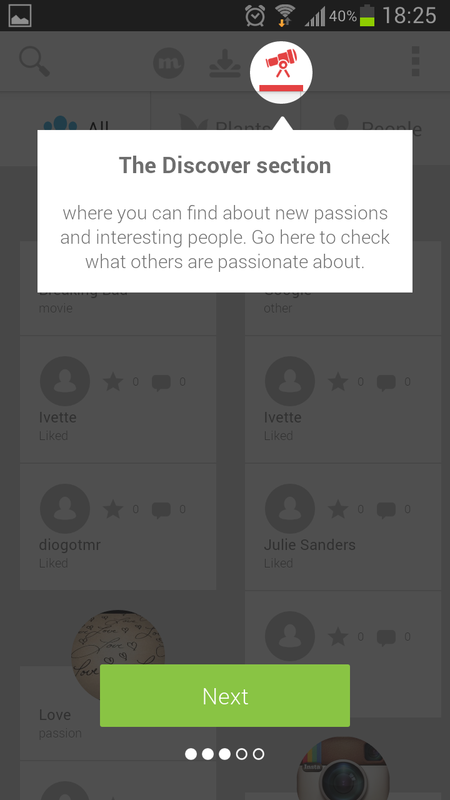 With the android app you have all your likes at your fingertips and you can keep up to date at any moment, wherever you are, and easily share you passions not only online but also with who’s just there… next to you (show CircleMe to your friends, help us grow)! The release of our Android app has brought attention to CircleMe from all around the world. Excited about its quick distribution, we are determined to continuously improve the app following your feedback and suggestions, and so today we release a new version of the app! Just to start, you will find a brand new and quick 5-step tutorial that will help you learn the basic navigation sections of the app and unveil some of its tools. 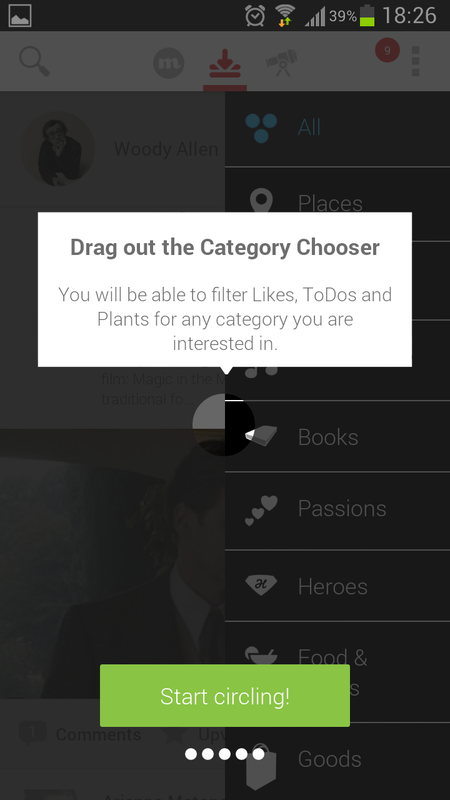 You can find the second new feature we added in the Discover and Updates sections where there is a new smoother swipe-down action that you can use to update the feeds each time you want to check what new content has been published. Since CircleMe provides you with hundreds of new articles a day associated with all your passions, it’s important to be able to easily update your Updates feed. For the same reason we have made it very simple for you to share the content with your friends: with just one tap of your finger you can suggest content to other CircleMe users and also share it via Twitter, Google+, Facebook or any available sharing tool installed on your mobile device. The new year has just started, #bewhatyoulike from now! Download or update you CircleMe app here. ← Happy 2014 with the new iOS app!